Can Informatica earn a place at the head table? Informatica might be thought of as the last independent data management company standing. In fact, that used to be Informatica’s main positioning in the market. That has begun to change over the last few years as Informatica can continued to make strategic acquisitions. Over the past two years Informatica has purchased five companies — the most recent was Siperian, a significant player in Master Data Management solutions. These acquisitions have paid off. Today Informatica has past the $500 million revenue mark with about 4,000 customers. It has deepened its strategic partnerships with HP, Ascenture, Salesforce.com, and MicroStrategies, In a nutshell, Informatica has made the transition from a focus on ETL (Extract, Transform, Load) tools to support data warehouses to a company focused broadly on managing information. Merv Adrian did a great job of providing context for Informatica’s strategy and acquisitions. To transition itself in the market, Informatica has set its sights on data service management — a culmination of data integration, master data management and data transformation, predictive analytics in a holistic manner across departments, divisions, and business partners. In essence, Informatica is trying to position itself as a leading manager of data across its customers’ ecosystem. This requires a way to have consistent data definitions across silos (Master Data Management), ways to trust the integrity of that data (data cleansing), event processing, predictive analytics, integration tools to move and transform data, and the ability to prove that governance can be verified (data governance). Through its acquisitions, Informatica is working to put these pieces together. However, as a relatively small player living in a tough neighborhood (Oracle, IBM, SAS Institute,etc. it will be a difficult journey. This is one of the reasons that Informatica is putting so much emphasis on its new partner marketplace. A partner network can really help a smaller player appear and act bigger. This Marketplace will include all of Informatica’s products. It will enable developers to develop within Informatica’s development cloud and deploy either in the cloud or on premise. Like its new partner marketplace, the cloud is offering another important opportunity for Informatica to compete. Informatica was an early partner with Salesforce.com. It has been offerings complementary information management products that can be used as options with Salesforce.com. This has provided Informatica access to customers who might not have ever thought about Informatica in the past. In addition, it taught Informatica about the value of cloud computing as a platform for the future. Therefore, I expect that with Informatica’s strong cloud-based offerings will help the company maintain its industry position. In addition, I expect that the company’s newly strengthened partnership with HP will be very important in the company’s growth. What is Informatica’s roadmap? It intends to continue to deliver new releases every six months including new data services and new data integration services. It will including develop these services with a self-service interfaces. In the end, its goal is to be a great data steward to its customers. This is an admirable goal. Informatica has made very good acquisitions that support its strategic goals. It is making the right bets on cloud and on a partner ecosystem. The question that remains is whether Informatica can truly scale to the size where it can sustain the competitive threats. Companies like IBM, Oracle, Microsoft, SAP, and SAS Institute are not standing still. Each of these companies have built and will continue to expand their information management strategies and portfolios of offerings. If Informatica can break the mold on ease of implementation on complex data service management it will have earned a place at the head table. I have been thinking alot about the new alliances forming around cloud computing over the past couple of months. The most important of these moves are EMC,Cisco, and VMware, HP and Microsoft’s announced collaboration, and of course, Oracle’s planned acquisition of Sun. Now, let’s add IBM’s cloud strategy into the mix which has a very different complexion from its competitors. And, of course, my discussion of the cloud power struggle wouldn’t be complete without adding in the insurgents — Google and Amazon. While it is tempting to want to portray this power grab by all of the above as something brand new — it isn’t. It is a replay of well-worn patterns that we have seen in the computer industry for the past several decades. Yes, I am old enough to have been around for all of these power shifts. So, I’d like to point out what the DNA of this power struggle looks like for the cloud and how we might see history repeating itself in the coming year. So, here is a sample of how high profile partnerships have fared over the past few decades. 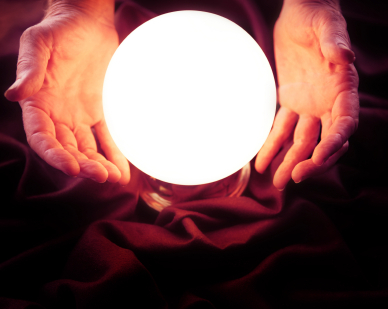 While the past can never accurately predict the future, it does provide some interesting insights. Partner realignment happens when the stakes change. There was a time when Cisco was a very, very close partner with HP. In fact, I remember a time when HP got out of the customer service software market to collaborate with Cisco. That was back in 1997. SAN JOSE and PALO ALTO, Calif., Jan. 15, 1997 — Hewlett-Packard Company and Cisco Systems Inc. today announced an alliance to jointly develop Internet-ready networked-computing solutions to maximize the benefits of combining networking and computing. HP and Cisco will expand or begin collaboration in four areas: technology development, product integration, professional services and customer service and support. From the April 29, 2004 issue of CRN Cisco Systems (NSDQ:CSCO) and IBM (NYSE:IBM) on Thursday expanded their long-standing strategic alliance to take aim at the data center market. Solution providers said the new integrated data center solutions, which include a Cisco Gigabit Ethernet Layer 2 switch module for IBM’s eServer Blade Center, will help speed deployment times and ease management of on-demand technology environments. “This is a big win for IBM,” said Chris Swahn, president of sales at Amherst Technologies, a solution provider in Merrimack, N.H. The partnership propels IBM past rival Hewlett-Packard, which has not been as quick to integrate its own ProCurve network equipment into its autonomic computing strategy, Swahn said. Cisco and IBM said they are bringing together their server, storage, networking and management products to provide an integrated data center automation platform. Here is a link to the rest of the article. HP itself has had a long history of very interesting partnerships. A few that are most relevant include HP’s ill-fated partnership with BEA in the 1990s. At the time, HP invested $100 million in BEA to further the development of software to support HP’s software infrastructure and platform strategy. Hewlett-Packard Co and BEA Systems Inc yesterday said they plan to develop new transaction processing software as well as integrate a raft of HP software with BEA’s WebLogic application server, OLTP and e-commerce software. In giving the nod to WebLogic as its choice of application server, HP stopped far short of an outright acquisition of the recently-troubled middleware company, a piece of Wall Street tittle tattle which has been doing the round for several weeks now. HP has agreed to put BEA products through all of its distribution channels and is committing $100m for integration and joint development. Here’s a link to an article about the deal. Oracle probably has more partnerships and more entanglement with more companies than anyone else. For example, HP has a longstanding partnership with Oracle on the data management front. HP partnered closely with Oracle and optimized its hardware for the Oracle database. Today, Oracle and HP have more than 100,000 joint customers. Likewise, Oracle has a strong partnership with IBM — especially around its solutions business. IBM Global Services operates a huge consulting practice based on implementing and running Oracle’s solutions. Not to be outdone, EMC and Oracle have about 70,000 joint customers. Oracle supports EMC’s storage solutions for Oracle’s portfolio while EMC supports Oracle’s solutions portfolio. Microsoft, like Oracle, has entanglements with most of the market leaders. Microsoft has partnered very closely with HP for the last couple of decades both on the PC front and on the software front. Clearly, the partnership between HP and Microsoft has evolved for many years so this latest partnership is a continuation of a long-standing relationship. Microsoft has long-standing relationships with EMC, Sun, and Oracle — to name a few. And what about Amazon and Google? Because both companies were early innovators in cloud computing, they were able to gain credibility in a market that had not yet emerged as the center of power. Therefore, both companies were well positioned to create partnerships with every established vendors that needed to do something with the cloud. Every company from IBM to Oracle to EMC and Microsoft — to name but a few — established partnerships with these companies. Amazon and Google were small, convenient and non-threatening. But as the power of both companies continues to –grow, so will their ability to partner in the traditional way. I am reminded of the way IBM partnered with two small companies — Intel and Microsoft when it needed a processor and an operating system to help bring the IBM PC to market in the early 1980s. The bottom line is that cloud computing is becoming more than a passing fad — it is the future of how computing will change in the coming decades. Because of this reality, partnerships are changing and will continue to change. So, I suspect that the pronouncements of strategic, critical and sustainable partnerships may or may not be worth the paper or compute cycles that created them. But the reality is that the power struggle for cloud dominance is on. It will not leave anything untouched. It will envelop hardware, software, networking, and services. No one can predict exactly what will happen, but the way these companies have acted in the past and the present give us clues to a chaotic and predictable future.